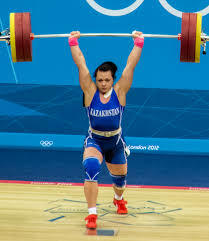 I started Olympic Weightlifting a little over a year ago. Before then I’d been lifting weights for over a decade, but I hadn’t actively pursued the sport of weightlifting. It was a health/vanity thing. 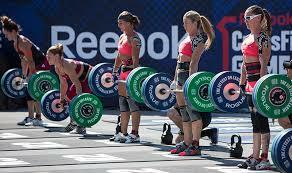 Weightlifting is a sport and as such it requires specific equipment – some of this equipment is to aid performance. Some is to help prevent injury. Some serves both purposes – in this case, I’m talking about knee sleeves. When performing squatting and lunging patterns, especially under load, the knee needs to be stable so it doesn’t collapse in or out. Whilst it’s good practice to ensure you’re stable by working on stability exercises anyway, a little extra help is certainly a good idea. Compression clothing has been around for a long time and is used in many different sports – from lycra in athletics, cycling and field sports to joint sleeves in weight lifting, they ensure muscles and joints are kept warm and maintain excellent blood flow to an area. There are indications in research that this can aid performance in a number of sports. If you train in an air-conditioned gym, outside or suffer generally from poor circulation then these are a great addition to your training kit as they can help maintain blood in areas particularly vulnerable to poor blood flow. 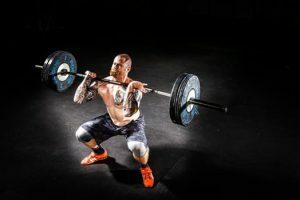 This is perhaps a more recent discovery, but both scientific and anecdotal studies have shown that compression garments improve recovery, reduce DOMS and allow athletes to train hard sooner than they are able to without compression clothing. I can speak from personal experience that I warm up quicker, maintain muscle mobility and performance when wearing compression clothing – so much so that I have 6 compression items that I use on rotation for gym and cycling use. 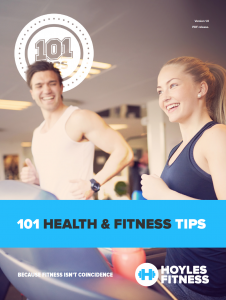 Whilst they may not lift a weight for you, they are shown to improve joint stability and health – they both improve performance. Furthermore, they improve confidence, which also leads to improved performance generally. They don’t lift the weight for you, but those supplementary benefits certainly help the overall picture. 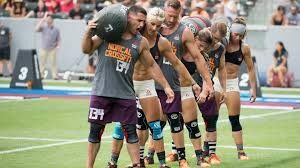 It may sound a little cliched, but look at the pictures in this article – they’re examples of athletes at the to of their game wearing knee sleeves in elite-level competition. Now, lets break that down a little. These are people in the business of human performance. Their aim is to perform as best as they can and they’ll use every single legal advantage that they can in order to boost their performance. Do you think that if they didn’t believe in the benefit of knee sleeves they would be wearing them in competition? There are hundreds of pairs of knee sleeves out there on the market, so you want to buy a quality product. 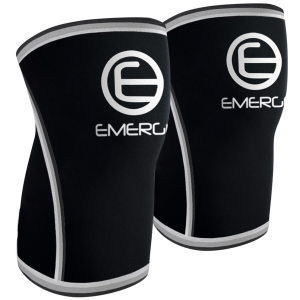 These knee sleeves from Emerge Fitness are some of the best on the market and are well-reviewed by anyone I know who has used them. They’re tight, good quality and do the job expected of them. The retail at $34.97 (US) and you can buy them on Amazon for £29.97. They come with a lifetime guarantee, such is the confidence in the quality of the product from Emerge Fitness! Overall, it’s my opinion that wearing knee sleeves for weightlifting and compression gear in training is a worthwhile thing to do. On balance, the benefits are worth it, even if some of the evidence is anecdotal at this point. There is no downside and plenty of potential upside, so get your sleeves on!